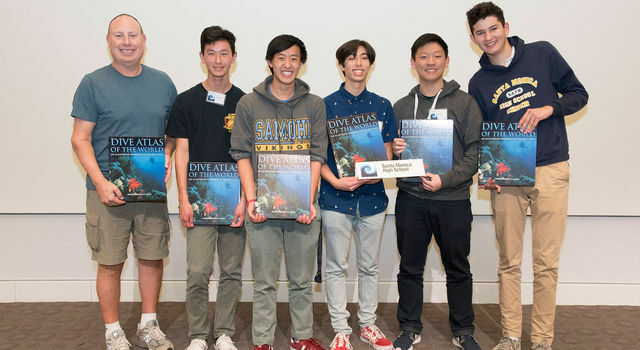 Updated on April 17: Southern California's Santa Monica High School took second place in the 22nd Annual National Ocean Sciences Bowl. Albany High School, from Albany, California, won first place in the final competition. 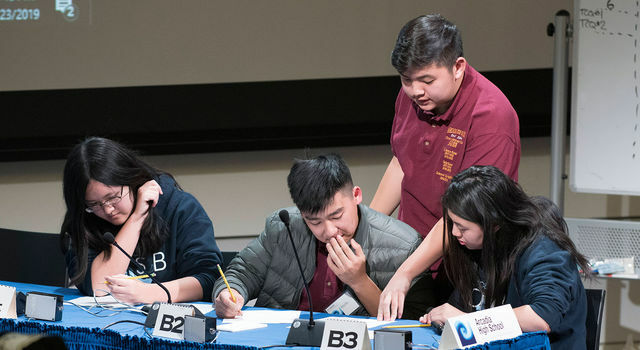 Santa Monica High School won the regional round of the National Ocean Sciences Bowl on Saturday, Feb. 23, for the fourth year in a row. The team will go on to compete in the national competition in Washington, D.C., in April. 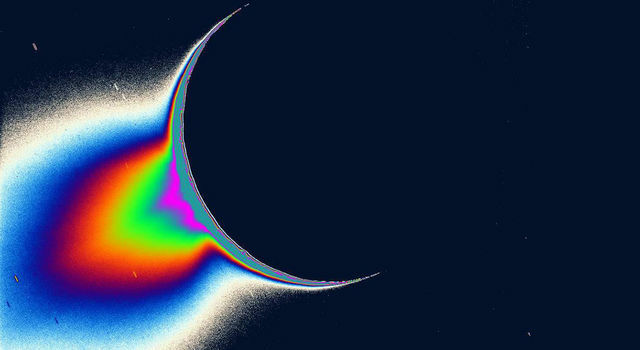 Hosted annually at NASA's Jet Propulsion Laboratory in Pasadena, California, the day-long competition - also known as the Surf Bowl - involves multiple rounds in which 12 teams of four high school students must answer questions about a wide range of topics, including fish biology, the history of ocean exploration, ocean wildlife protection policies and wind turbine components. This is JPL's 20th year hosting the event. Santa Monica High lost one round during the double-elimination period of the competition but managed to hang on until the finals. They came back to win two rounds against Arcadia High School, which took second place. University High School in Irvine placed third, while Mark Keppel High School in Alhambra won for best sportsmanship. Santa Monica High School teacher Ingo Gaida has coached Surf Bowl teams for 17 years. To help prepare, he teaches a class in which students can study and train for different academic competitions. 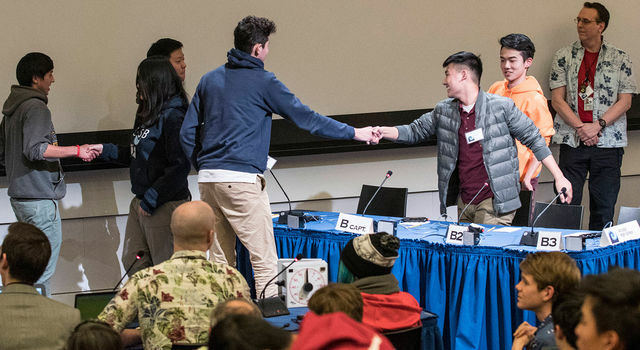 The school took second place in the National Ocean Sciences Bowl in 2018 and first place in 2017. Gaida said that some former Surf Bowl participants have gone on to pursue careers in ocean and environmental sciences but that even those who don't still gain from the experience. "I think the comradery is really beneficial," he said. "We have a lot of fun at practice. But they also have to work together as a team, and some of them have never done that before; they've only studied individually. It's different when their team is counting on them." Santa Monica High School's captain, senior Derek Wen, said his time on the team has made him think about the possibility of studying environmental science in college. "I've thought about it now that I know what is happening to our planet," he said. Team member Ireland Neville, who jumped out of his seat when his team won the final found, said the win is even sweeter because it took place at JPL. "It's pretty cool to come to JPL, where we're among the stars, and win something huge," he said.